Today, an online presence is vital to the success of any business. Companies, both large and small without a digital strategy have little chance of their business performing as well as competitors who have powerful websites. A great website is the core of your company’s online presence and offers the opportunity to drive business thanks to the information it offers your customers. The staggering rise in technology and portable devices in recent years means your customers are constantly connected to the internet through their phones; making the need for a fully optimised, responsive site more important than ever before. Today, two thirds of adults in the UK own a smartphone, with the average user picking up their device 85 times a day. Kommand helps business owners succeed online and offers customisable websites that are mobile-optimised as standard which drive great results at cost effective prices. As the phrase goes “you never get a second chance to make a first impression”. Luckily, we offer professional looking templates that are guaranteed to impress any visitor. Our website themes are fully optimised for mobile, tablet and desktop users. The colour scheme can be edited to suit your brand and style and images are easily added. Your website is the chance to communicate with your customers and build a great first impression. Remember your company’s unique selling point should be visible in the content when users first visit your site. 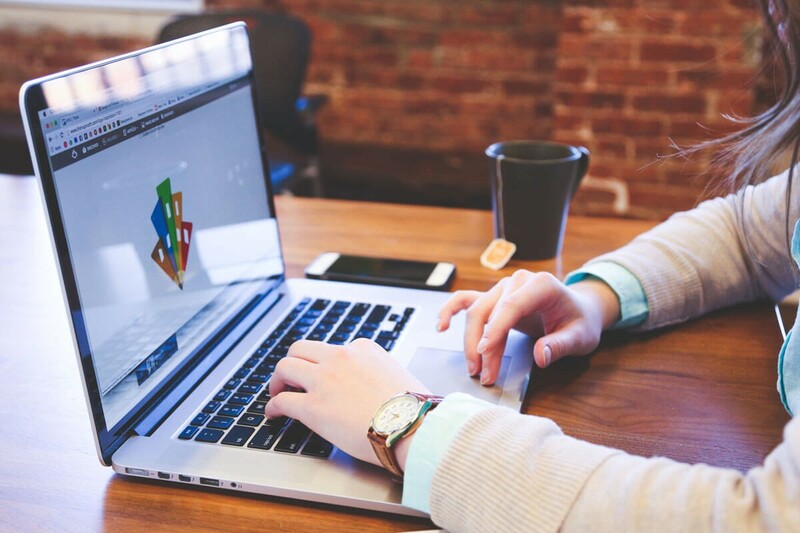 Incorporating your company logo design into your website is a great way to visually represent your brand. A great logo makes your brand trustworthy and encourages customer engagement. Ask yourself, would you have confidence in a brand that doesn’t have a visual identity? Kommand’s customisable templates make it easy to upload your logo to your site and instantly create a connection with your customer. We offer a simple re-sizer that helps you crop your image to ensure it looks great on your site. Content is king and one of the best ways to engage users is through tools such as sliding banners. When used well, content sliders provide an interactive element to your site that can increase visitor engagement. A positive user experience is vital for the success of your website. Content sliders save space by allowing you to fit multiple pieces of content on a single screen. Well-designed content sliders encourage users to stay on the page longer, driving engagement. Kommand websites structure your information into an easy-to-view way. We offer homepage slider banners which sell the main services of your business in a consolidated way. A website is a great hub to build your company’s community and blogging adds another dimension to this. Each time you post a blog you create something that is sharable via social media which helps grow your audience. Write you own Kommand blog through your website and use categories and tags to inform the search engines what you’re discussing. Companies without sleek websites have little chance of success in today’s market. 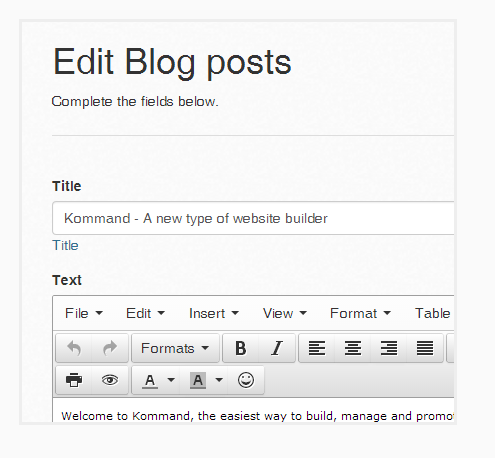 Kommand offers you advanced features to build, manage and promote your website all at a low cost. Our fully optimised site give you the ultimate platform to launch your business thanks to our easy content editor and beautiful designs.